The work Landscapes (2019) is based on digitalized photo negatives and diapositives which I found in an online archive. I limited my research to images related to keywords which are associated with the notion of landscape. The old original negatives and slides show traces of material decay, mainly on their edges. When a damaged negative is digitalized the bleached, peeled off and scratched edges become part of the image itself since in a scan there is no decaying materiality anymore but immaterial homogenous visibility. 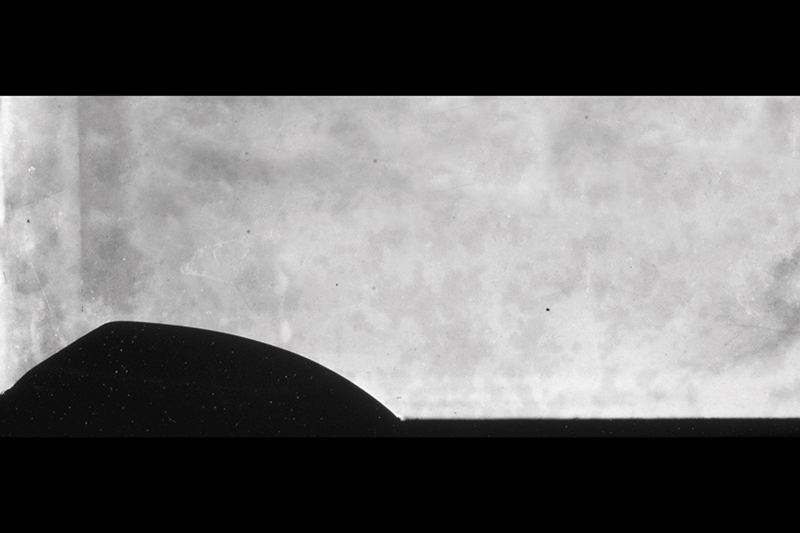 The digitalized damages show visual qualities that remind of abstract landscapes and filmic shots of the horizon. Touches (2018) is a series of seven digital collages. 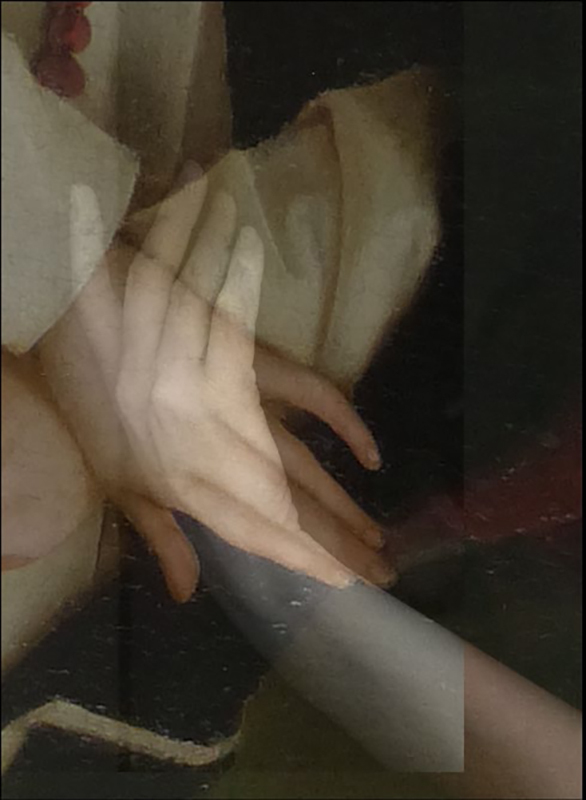 Each collage consists in a scan of my own hand eclipsed by an online found hand-detail of an old painting. In contrast to any other photographic technique, a scanned file shows its object on a scale of 1:1 – my scanned hand is visible in life size. The found, old hands were enlarged in order to become life-size as well. The collages evoke so a contact of two hands from different periods of time. Wasser, Blätter, Fels and Füsse, Ranken (both 2018) are two digital scans showing wilted leaves and stems on images of a book related to archeological finds. 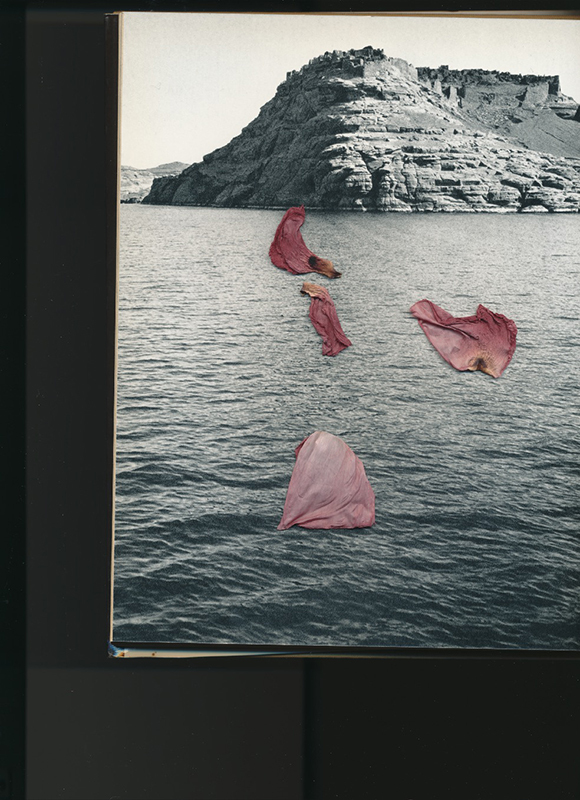 The two large prints unite the different time spans of flowers, plants, ancient sculptures and unsculpted rocks with the material visibility of a printed book and the technique of digital print making. Sarah Burger (*1982) studied Philosophy, Comparative Literature and German Linguistics at the University of Zurich and the Humboldt University in Berlin. She also has a Master in Visual Art from the HEAD, Geneva. Recently she finished her PhD in Artistic Research at the University of the Arts, Linz and the ZHdK, Zurich. In her artistic practice she is interested in the idiosyncratic qualities of different materials, in the on-going transformation of the surface (and not only the surface) of this planet earth by natural and cultural forces, as well as in the eclipsing contemporaneity of different times and cultures. Along with these interests in processes of transformation her works often deal with questions of visibility and invisibility, presence and absence. Things in general create a network of references, meanings and values that is in constant movement. She explores in her work connections between culturally charged meanings, spatial presence and yet unknown visibilities by combining, overlaying, enlarging, abandoning and recollecting images, materials and objects.